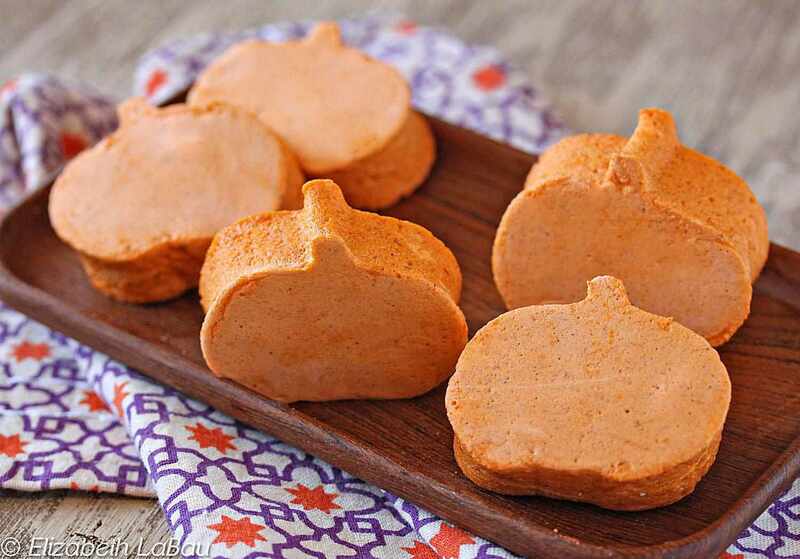 Ring in the fall season with this list of delicious pumpkin candy recipes! These favorite pumpkin candies include chocolate bark, truffles, fudge, marshmallows, and more. Some candies use pumpkin puree, some use pumpkin flavoring, some use pumpkin bread or cake, and some are just decorated to look like pumpkins! Pumpkin marshmallows are soft, pillowy marshmallows that taste like pumpkin pie! Pumpkin puree and lots of spices give these homemade marshmallows a great autumn flavor. Pumpkin spice truffles are pumpkin-shaped truffles that are bursting with flavor from pumpkin puree, cream cheese, cinnamon graham crackers, and plenty of spices. These 3-D chocolate truffle pumpkins are too good to share with the trick-or-treaters--you'll want to hoard this candy all to yourself! The glossy pumpkins are completely edible (and delicious! ), and they're filled with a rich, fluffy chocolate truffle mixture. Pretzel pumpkins have only three ingredients, can be made in 10 minutes, and will soon be your new favorite Halloween candy! Pretzel twists are dipped in orange candy coating and topped with a small green candy. It's simple, but it's so good! Pumpkin chocolate truffles are smooth, creamy chocolate truffles with a hint of pumpkin pie flavor from pumpkin puree and fall spices. The pumpkin is subtle but adds a lovely autumn taste to these candies. Pumpkin cake pops are moist bites of cake on a stick decorated to look like pumpkins! You can use any flavor of cake and frosting that you like, but I recommend using a pumpkin spice cake and cream cheese frosting to fit in with the pumpkin theme. Don't miss the photo tutorial showing how to make pumpkin cake pops! Pumpkin chocolate bark has a gorgeous swirl of orange pumpkin-flavored chocolate running through rich semi-sweet chocolate. This beautiful treat makes a perfect Halloween candy, and it couldn’t be easier to make. Rice crispy treats get transformed into jack o' lanterns in this adorable Halloween candy recipe! These orange-flavored rice crispy pumpkin balls also make great Halloween decorations or party centerpieces.